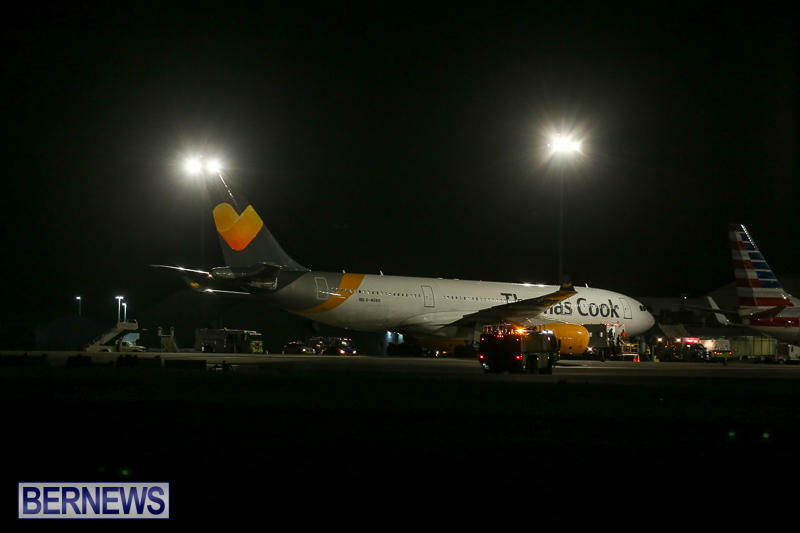 Thomas Cook flight #2843 landed at the LF Wade International Airport tonight [March 29] after a passenger on board took ill. 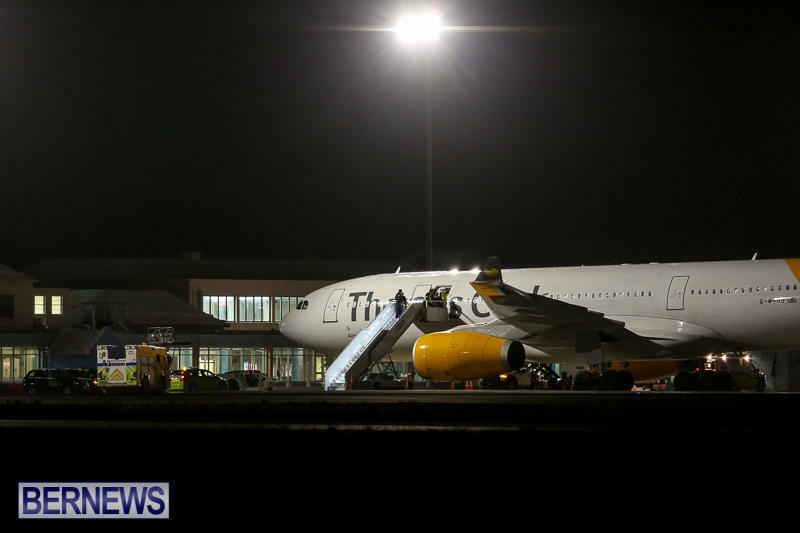 The flight which originated from Cancun, Mexico was on its way to Manchester, England when the pilot diverted to Bermuda to disembark the sick passenger. 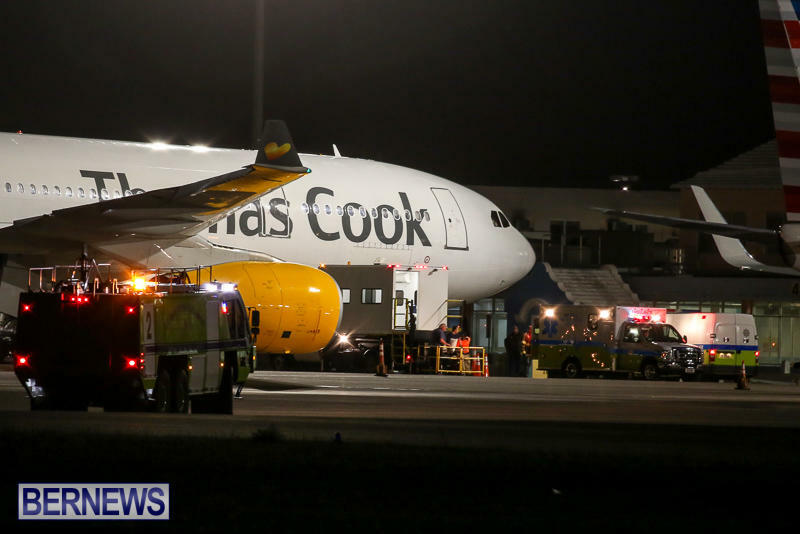 Bermuda Fire & Rescue Service personnel and an ambulance were at the main terminal when the plane landed and the passenger was then transported to King Edward Memorial Hospital for treatment. 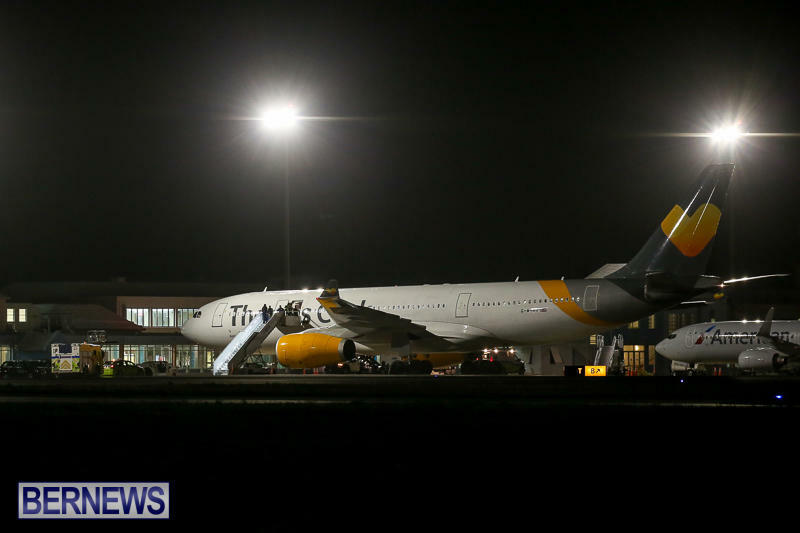 The flight resumed its journey, departing at approximately 1.30am. Sorry bro there is no room in the inn. Big empty hospital right next door. I’d like to see Thomas Cook land here on the regular!